Gold Label Special Mix containing 60% pebbles and 40% coco substrate. This mix is perfect for all kinds of pot culture growing. Jongkind Hydro Substrate Granules are produced according to a special method and meet the highest requirements of the horticultural trade for substrates. They are a natural product, 100% organic, and their unique structure ensures healthy growth by means of perfect moisture control and good root grip. They are suitable for all cultivation and growing applications. 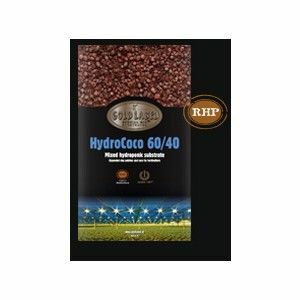 This medium is especially good with Ebb & Flood and Dripper, as the high clay content allows for a greater number of flood periods per day than using coco or soil medium alone. Hydrodaze recommends using with Autopot and Wilma Systems.